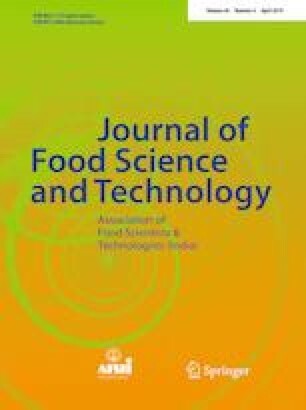 This study was planned to characterize the physicochemical and antioxidant properties, and microbiological quality of honey obtained from the sandbar pumpkin field. In this study, four sugar supplemented and one control (without sugar fed) honey sample was used. Results revealed that all samples exhibited appropriate maturity considering their low moisture content (~ 19%) and high total solids (~ 80%) and TSS (~ 79%). Total acidity (< 40 meq/kg) and pH (~ 4.5) directed the absenteeism of detrimental fermentation. Ash (~ 0.29%) and electrical conductivity (~ 700 µS/cm) were reasonable and distinctive of dark yellowish-brown honey, which is buttressed by color attributes. Reducing sugars, glucose, fructose, and sucrose values ranged from 68.98 to 75.82%, 26.01 to 33.84%, 34.93 to 38.70%, and 1.74 to 5.96%, respectively. Proline (~ 400 mg/kg), HMF (< 40 mg/kg) and diastase action (~ 14° Gothe) were found within accepted limits, and also possesses good antioxidants in terms of total phenol (~ 160 mg GAE/100 g), total flavonoid (4.67–6.25 mg CE/100 g), and DPPH-RSA (30.65–35.97%). The microbial study revealed that the total viable count ranged between 33.33 and 27.66 CFU/g, while yeasts and mold count varied between 14.33 and 12 CFU/g. Principle component analysis (PCA) results revealed that all the studied parameters could be used effectively to discriminate the honey sample. The overall results signpost a new information regarding the quality i.e. processing, maturity, freshness and composition of honey obtained from the sandbar pumpkin field. We thankfully acknowledged the help of the beekeepers for kind supplying of honey samples, Dr. Maruf Ahmed for providing DPPH reagent and helping in PCA analysis, and Md. Saifullah, PhD Fellow, School of Environmental and Life Sciences, University of Newcastle, Central Coast, Ourimbah, NSW 2258, Australia for proofreading the manuscript.